The debate about Chinese neocolonialism is long standing, but has re-emerged with new force for two reasons. One is the People’s Republic of China’s Belt and Road Initiative (BRI), which anticipates billions of dollars’ worth of infrastructure projects and resource investments in dozens of countries, many economically and politically weak. Then there were the dramatic events that took place in Sri Lanka last year, pursuant to which it turned over its Hambantota port and a massive amount of land in Colombo port to Chinese multinational corporations (MNCs) in return for debt relief. 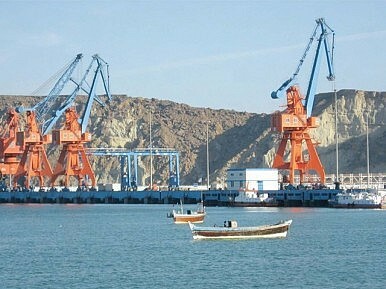 To top it off, we are seeing PRC military bases (in Djibouti) and security “advisers” (in Pakistan) in places where China has strong economic interests. For a number of reasons, Beijing has been at pains to rebut accusations that it is yet another neocolonial power exploiting partners through unequal exchange. It has argued, rightly, that local country shipments of agricultural commodities, coal, gas, oil, and resources like copper, tin, and uranium to China have benefited countries such as Australia, Kazakhstan, and Namibia. It should be added that this is not just about China providing a market, but, in some cases the only market. Also, because of its voracious demand, China is raising the price of resources and thus improving the terms of trade and reducing the inequality of exchange. China also contends that its economic links with its partners have helped them develop by addressing their infrastructure gaps, boosting employment, facilitating industrialization, transferring technology and knowledge, and expanding power generation and distribution capabilities. Critics offer several counterarguments. First, they deride Beijing’s touted connectivity infrastructure, like pipelines and ports, essentially as initiatives to send more resources to the PRC. They add that Chinese projects afford local countries a scant role and that the debts associated with these projects are depleting national treasuries. Second, they stress that Chinese projects specifically and investments more generally insufficiently use local suppliers and partners. Third, they assert PRC companies and projects contribute little to job creation, partly because they use so many Chinese laborers. Fourth, they assert that China is not sharing important technology. Fifth, they contend that China is doing more harm than good regarding host country industrialization because its cheap goods destroy local manufacturing. For the more pejorative of the critics, China’s vaunted slogan of “win-win” essentially means China wins twice. The problem of Beijing inadequately using local partners and suppliers is a genuine one, but the critics’ implied alternative — that Chinese MNCs should automatically use local ones — is not ideal if the latter cannot do projects well or supply the needed quality/quantity of goods. Moreover, in many cases, given the political situation in host countries, local partners and suppliers will be selected because of their political ties, not project implementation abilities. Given this, it is not obvious an increased role for them is preferable. The issue of Chinese job creation is an important one, too, but there are unrealistic expectations about what Chinese investment and contracting can do. For many countries, because of the skill level of their workers, the most promising areas for job creation will be in low-value added areas; that is, not the areas in which China is involved. Moreover, host country workers will have more opportunities when they can do what Chinese MNCs need, as is the case with MNCs of all nationalities. Chinese competition has placed severe pressure on the PRC’s economic partners both in the latter’s home markets as well as in third-party markets. The challenges seem even more ominous given China’s plans to invest more and build SEZs and ports which will allow China to export even more goods to its partners and these partners’ partners. Discussions of the putatively “destructive” Chinese challenge, though, often neglect that fact that “cheap” Chinese goods also permit local firms to remain competitive, improves the access of consumers to a greater range and quantity of goods, and forces local firms to upgrade their competitive abilities. Moreover, in numerous cases, China’s economic partners have squandered or not fully employed the gains from their massive commodity sales to China to diversify and improve their industrial competitiveness. Put differently, a complete picture requires us to recognize that cheap Chinese goods also bring benefits and further that host governments have not done all that they could have done to mitigate the China challenge. Chinese projects, investment, and the BRI — sarcastically termed “One Belt, One Trap” by some — which is supposed to deliver a lot of the first two, may not be an unvarnished blessing. But their potential upsides may be greater than recognized while the negatives may be exaggerated. Regardless, the maximization and/or equalization of the net benefits will not occur if the critics expect “win-win” to mean “win-lose” (meaning China gives all and gets nothing in return), denigrate all Chinese projects and investment, or belittle all Chinese loans. For their part, host countries need to improve their ability to bargain with the Chinese side by leveraging other countries, companies, and manipulating market access. They further need to improve the capacities of their firms and workers to maximize employment, technology transfer, and partnership opportunities. Rather than just disparaging China, the naysayers should contemplate how they can empower host countries and encourage better Chinese practices. A better world for host countries does not necessarily follow if host countries do not have Chinese capital, goods, and political support and no positive alternatives are put forward. Jean-Marc F. Blanchard is Distinguished Professor, School of Advanced International and Area Studies, East China Normal University (China), and Founding Executive Director at the Mr. & Mrs. S.H. Wong Center for the Study of Multinational Corporations (USA). How Chinese FDI Will Transform the Global EconomyOne Belt, One Road, and One Big CompetitionThe US Is Pushing Back Against China. What Happens If We Succeed?On Looming US-China Trade Deal, Actions Speak Louder Than WordsTrue GRIT with North Korea?